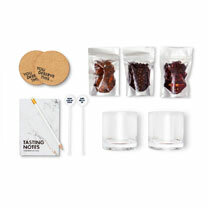 Accessory and tasting kit - Gin kit contains natural botanicals to enhance a classic G & T (Juniper berries, Star Anise, Hibiscus flowers), two carefully selected glasses, cheekily labelled stirrers, coasters, notebook and pencil. Thoughtfully packaged in a cylinder-shaped gift box, 20 x 10cm. 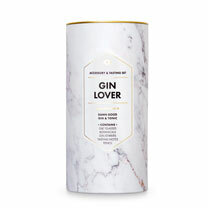 Just add a bottle of the recipient's favourite tipple to make this the perfect gift. Accessory and tasting kits. Whisky kit contains six whisky cooling stones in a pouch, two glass tumblers, coasters, notebook and pencil. 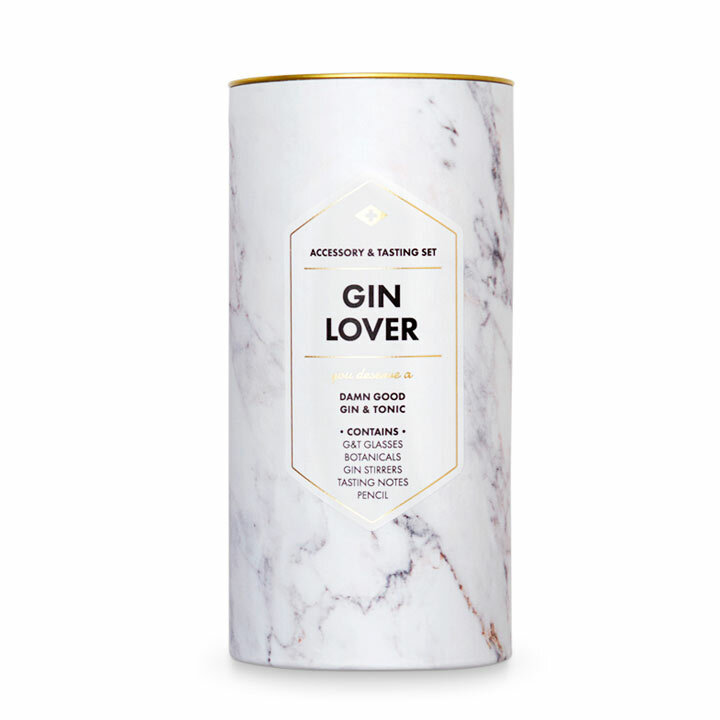 Gin kit contains natural botanicals to enhance a classic G & T (Juniper berries, Star Anise, Hibiscus flowers), two carefully selected glasses, cheekily labelled stirrers, coasters, notebook and pencil. Prosecco kit contains natural, dried botanicals (a sprinkling in your wine infuses with and highlights the often subtle notes of your favourite Prosecco), edible sparkle (silver leaf), two glass flutes, coasters, notebook and pencil. Thoughtfully packaged in a cylinder-shaped gift box, 20 x 10cm. Just add a bottle of the recipient's favourite tipple to make this the perfect gift.